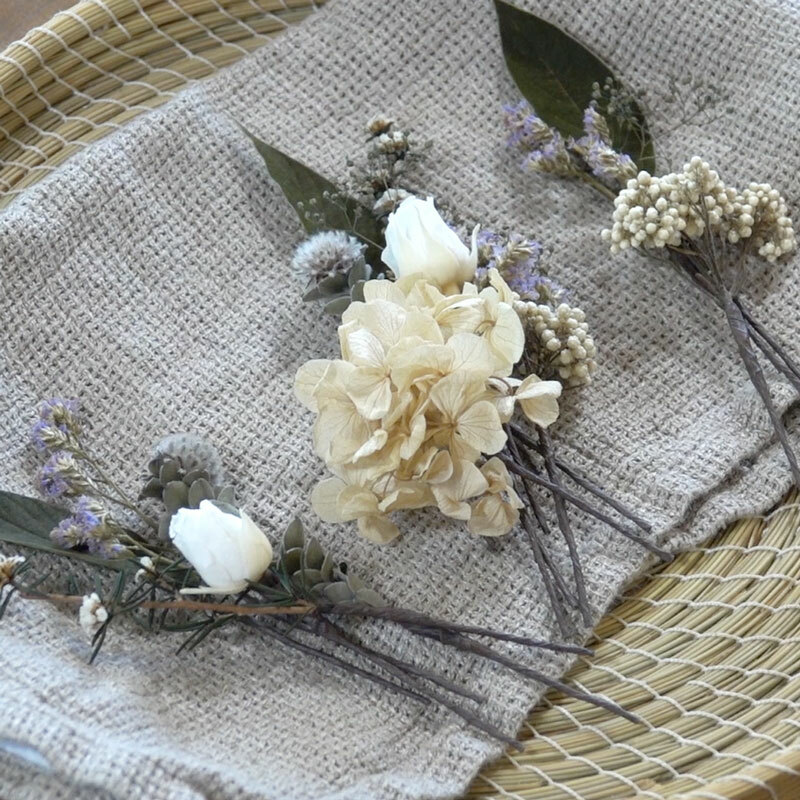 a wreath with dried flowers, perfect for autumn interior decor! 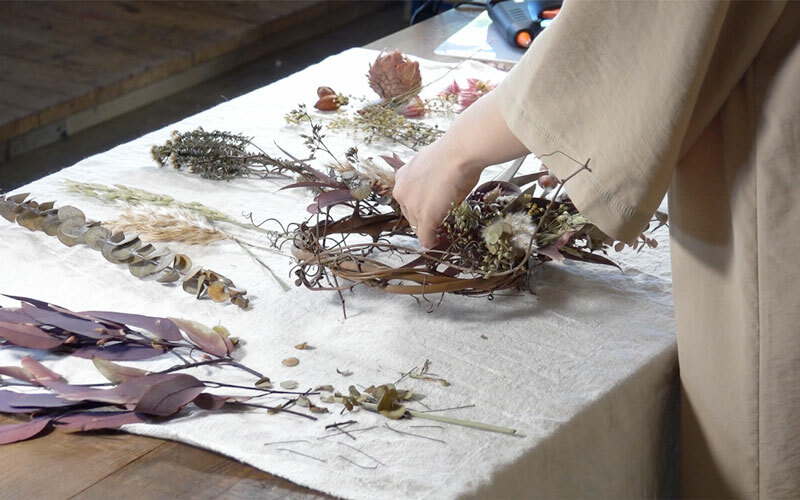 how to make a very autumn style wreath. 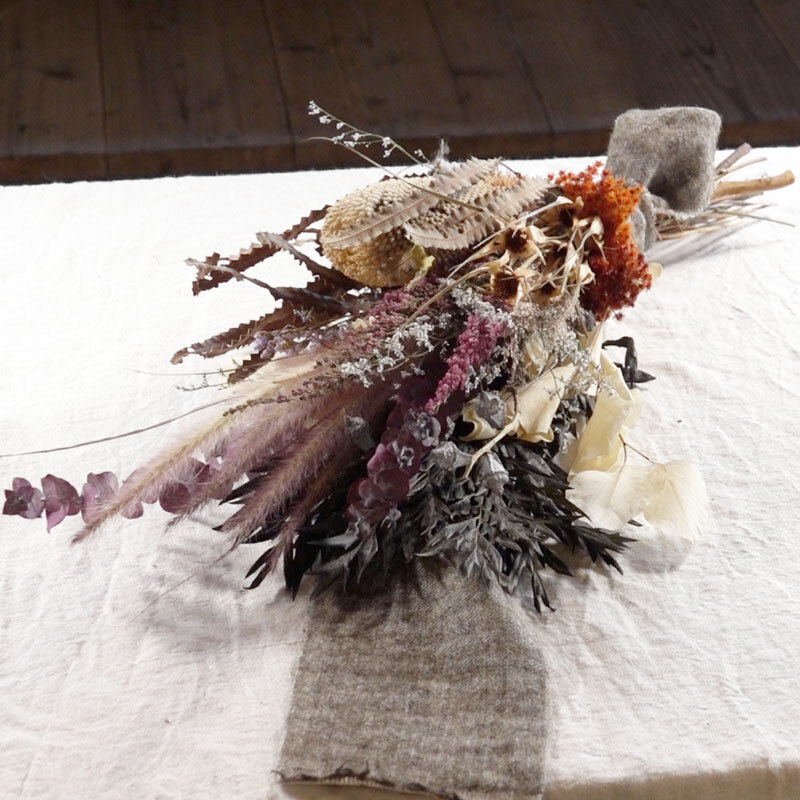 using colorful dried flowers in this arrangement which is perfect for this fall. that bring the best of fall season into the room. One wreath can totally change the entire atmosphere of the room with a seasonal accessory. 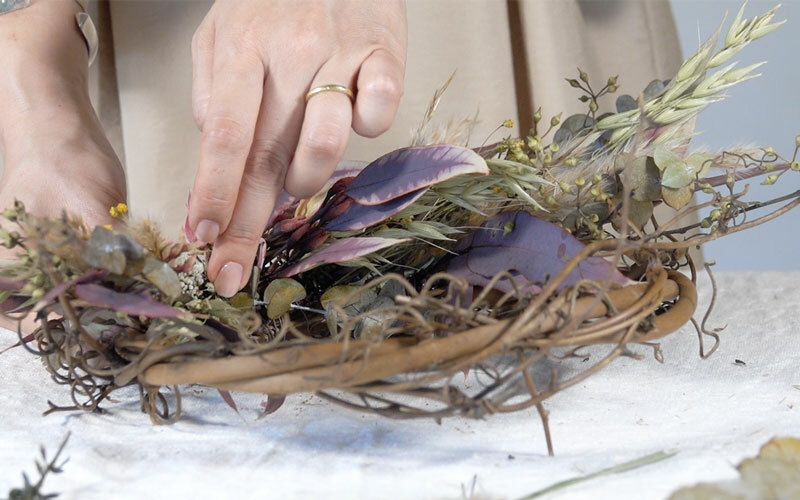 adding dry flowers or foliage to the base. It is about making it asymmetrical, showing the season through balance and colors. 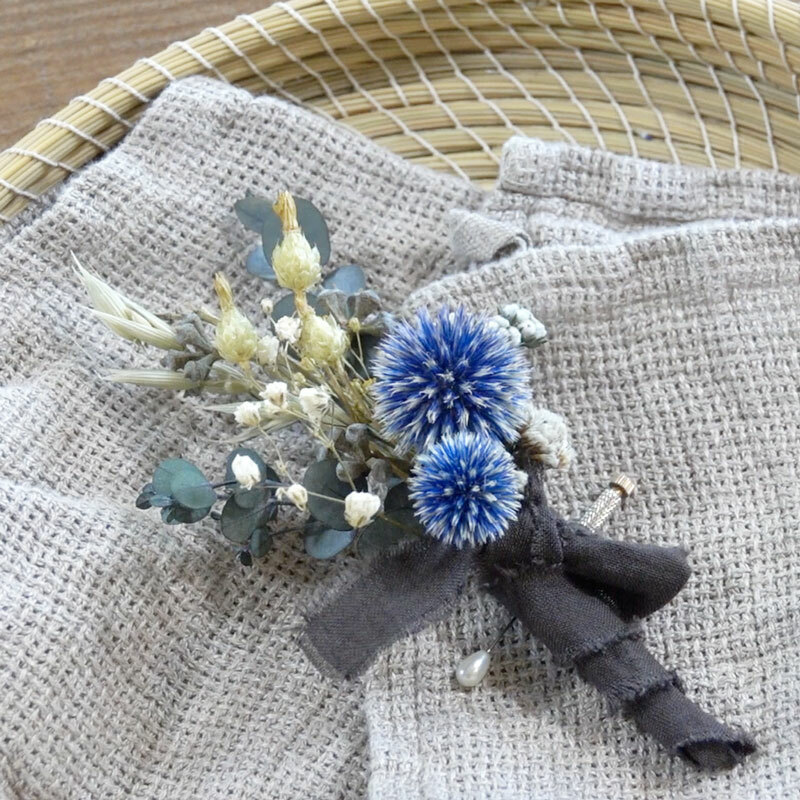 You will learn how to make a stylish interior accessory in the Manami style. 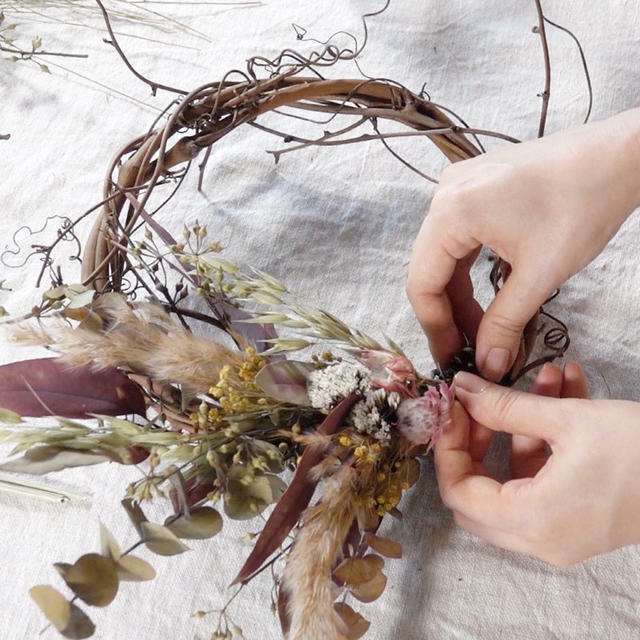 ◯How to fix flowers and foliage in the wreath with wire, and how to use glue for buds. 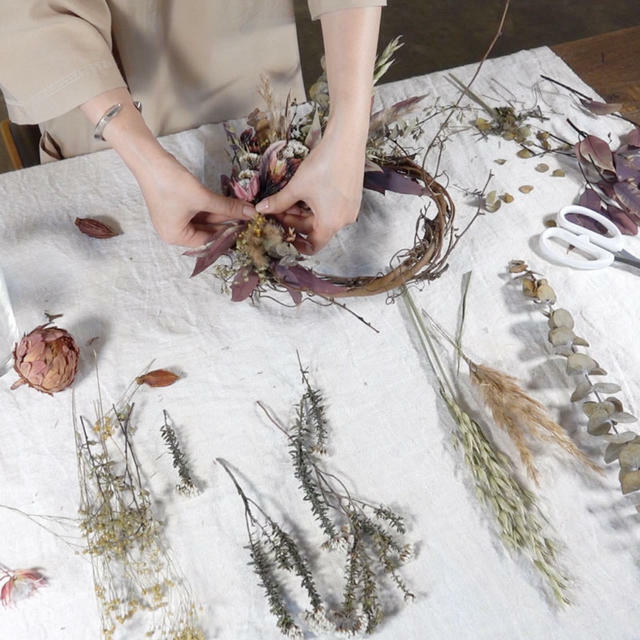 ◯The right order of placing flowers and foliage. ◯Points to pay attention in order to distribute everything well. 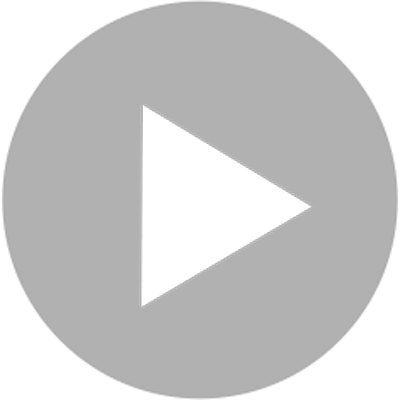 And more tips are included in this lesson! the number of arrangements you can do becomes unlimited! You will be able to choose the flowers according to the season. 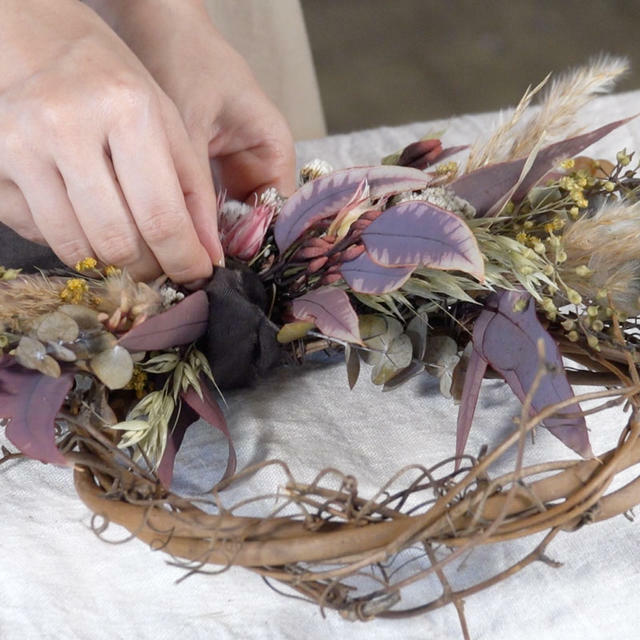 people at all levels can have fun making wreath. and use your imagination to create something unique for each season!